Shazam! Reviews - What Did You Think?! 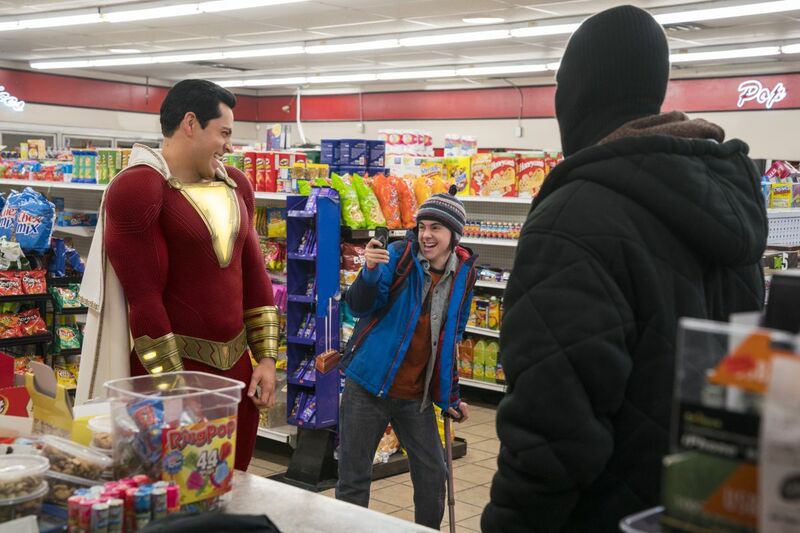 DC’s latest film, Shazam!, is finally out in theaters this weekend. And we want to know what the Superhero Hype community thinks about it! This post is a place for all of you to leave your own reviews, thoughts, or anything else you want to say about the film. You can read our review here. Our sister site, ComingSoon, also has Shazam! reviews here and here. You can find all of SHH’s Shazam! coverage here. Shazam! is based upon the original Captain Marvel, a superhero created in 1939 by C. C. Beck and Bill Parker for Fawcett Comics. Beck and Park envisioned Billy Batson as a young orphan who could transform into an adult superhero by shouting the name of the wizard, Shazam. The wizard’s name granted Billy the wisdom of Solomon, the strength of Hercules, the stamina of Atlas, the power of Zeus, the courage of Achilles, and the speed of Mercury. At his height, Captain Marvel was arguably more popular than Superman. However, the rights to Captain Marvel and his supporting cast eventually came to DC Comics in 1972. Because Marvel established their own Captain Marvel, DC began publishing the series as Shazam! while retaining the Captain Marvel name in the comics. But in 2011, DC officially abandoned Billy’s Captain Marvel codename in favor of the wizard’s name. David F. Sandberg directed Shazam! from a screenplay by Henry Gayden. 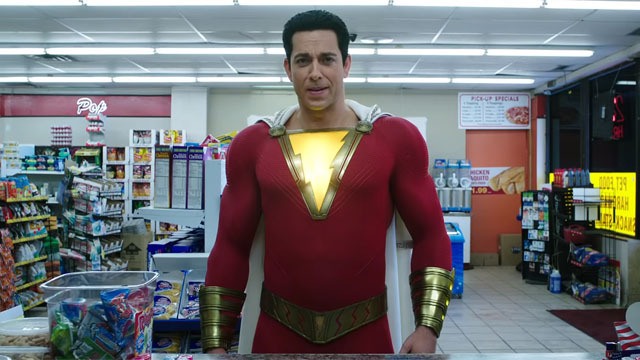 The movie stars Zachary Levi and Asher Angel as Billy Batson, with Mark Strong as Dr. Thaddeus Sivana. Jack Dylan Grazer co-stars as Freddy Freeman, with Djimon Hounsou as the wizard, Shazam.